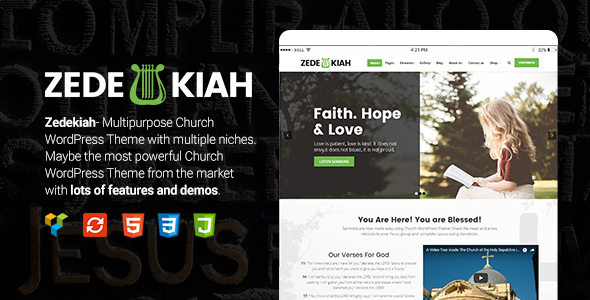 Our demos will quickly show you a lot of reasons why Zedekiah is probably the most compact, user friendly Church WordPress Theme of the moment. The theme only comes with specific options and features, build by professionals for professionals. The most important part of the theme is that it comes built-in with a lot of services which actually are “Ready to go” after importing the demo on your site. Zedekiah was created to simplify the process of having a well-done website, for any Church, Religion or any other type of Nonprofit organisation!